Omg! I love you grumpy cat! So cute! 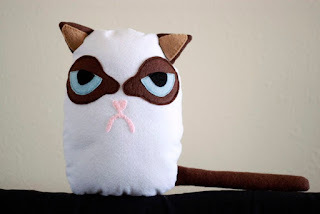 Here is a great tutorial via Instructables to make your very own plush grumpy cat! I must make!